Tasting Week is Happening November 3rd – 7th! 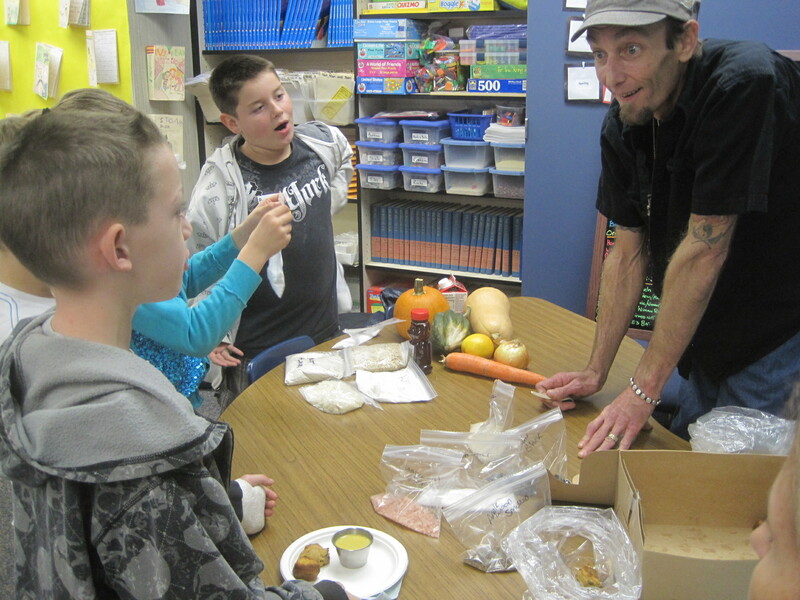 Ike Frazee of Ike’s Quarter Cafe in Nevada City turns Deer Creek students on to the joy of winter squash during Tasting Week 2013. It’s almost time again for Tasting Week, one of Sierra Harvest’s favorite events. During Tasting Week, professional chefs visit classrooms and demonstrate just how delicious local produce can be. Last year the kids were licking Wendy Van Wagner’s winter greens right off the plate, and experiencing beet kvass for the very first time. Curious about kvass? Ask Victoria LaFont, nutritionist, about this unique fermented beverage that is made from whey and beet juice. She and Wendy were two of the 12 chefs who participated in last year’s Tasting Week – this year chefs will be cooking and students will be tasting in 18 schools as part of Sierra Harvest’s Farm to School program. Hard to believe we started three years ago with only two chefs in four schools. Tasting Week will happen November 3rd through 7th – contact your school’s Farm to School Liaison directly to find out when a chef will be cooking at your school or to get your classroom on the tasting list. Parents, this is a wonderful opportunity to see our Farm to School program in action AND to taste something new, prepared by one of our community’s local chefs! Download a featured recipe from a local chef!